The Harvey Award-winning team of David Gallaher and Steve Ellis reunite to bring you the harrowing adventures of Russias elite strikeforce! Atlantean warlord Krang has brutally invaded the coast of Russia and only the Winter Guard has what it take to stop his diabolical plan. 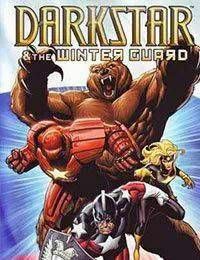 Collecting Darkstar &amp; the Winter Guard #1-3, Hulk: Winter Guard and material from X-MEN UNLIMITED #28.